Need t-shirts and gear for a sporting event? Take a look at our products and print your team logo on any product of your choice. NFL coach Gary Kubiak’s been getting a lot of attention in the media lately. Most recently, Ring of Fame coach Dan Reeves – Kubiak’s coach when he first started with the Denver Broncos – took to the media to sing Kubiak’s praises. According to Reeves, Kubiak showed glimpses of the professional he’d become even in the early days of his career. You can imagine what happened next. Reeves followed Kubiak’s advice, and the Broncos took home a victory against Washington. 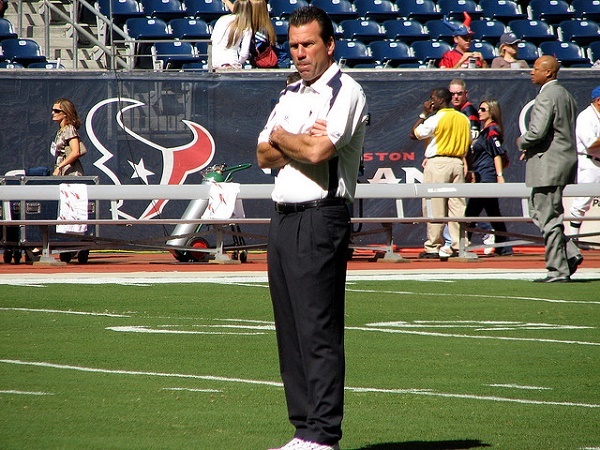 This would be the first of many such instances where Kubiak showed his technical aptitude for the game. He was more than just a warm body to place on the field; he was cunning, quick, and always thinking of some new play to roll out. We’ve talked a bit in the past about how coaching involves knowing how to inspire your players and understanding how to help them keep their heads in the game. We’ve discussed how coaches need to have a great deal of emotional intelligence; how they must be capable of solving disputes between players. We’ve touched – briefly – on the importance of knowledge to coaching success. Through it all, we’ve left out what may well be the most important element of coaching: game sense. A combination of knowledge, experience, intuition, and tactical aptitude. It’s more than just possessing knowledge of the game, it’s knowing how to apply that knowledge to maximum effect. This is what allows some coaches to craft killer plays like Kubiak’s, while others are stuck acting as motivators and hoping for the best. The good news is that, to some extent, game sense is something you can develop through hard work and determination. The bad news is that there are always going to be people who’ve got a better head on your shoulders than you; people who’ve more tactical prowess on the field than you do. The only thing you can do when you come up against such individuals is play to your strengths and hope for the best. So…how exactly do you develop game sense? As a coach, you need to capable of inspiring respect and fervor in your team. You need to be the kind of person that makes them want to step up their game; the kind of person who inspires them to be better than they already are. At the same time, none of that really matters if you’ve no sense of how a game is played. It’s not enough to simply know the game – you need to temper that knowledge with experience, and develop your skills as you go along. That’s pretty much all there is to it – the last secret to being a great coach.